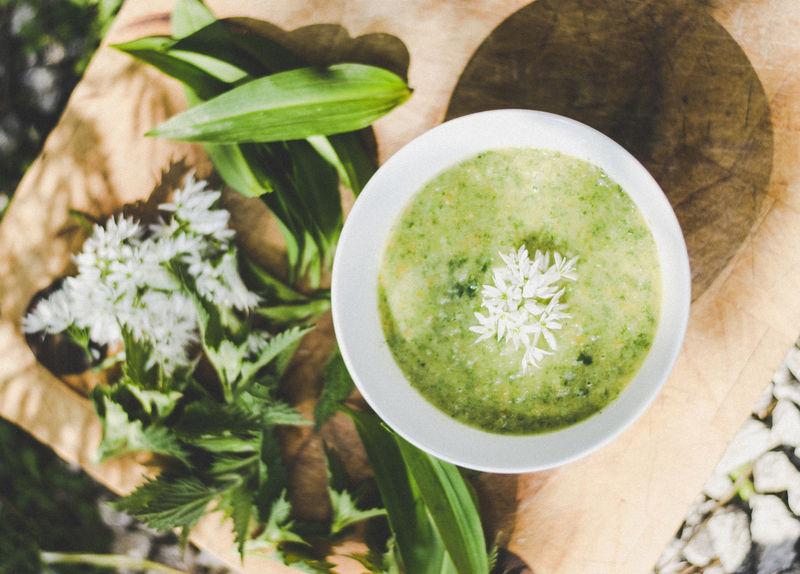 Nettles, abundant and free, have been used for millennia as Spring’s natural body cleansers, making them the ideal ingredient for this cleansing Nettle Soup or Nettle Tea. Heat the oil in a medium saucepan. Add the onion and gently saute until soft. Add celery and garlic andcontinue to saute until soft or wilted. Add the potato/carrot, veggie stock/water, tamari and nutmeg, bring to the boil and simmer until the potato begins to break apart. Add the nettle tops (use your gloves for this part!) and simmer a couple minutes more, just until leaves and stalks soften. 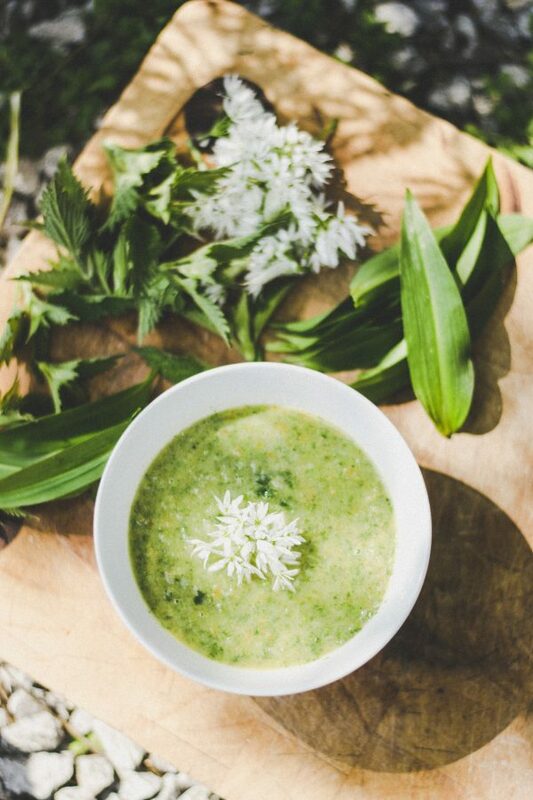 Blend until smooth, add fresh ground pepper and serve garnished with chopped chives or wild garlic flowers. Nettles are rich in vitamin C and gently help us clear toxins. They’re also a natural anti-inflammatory and anti-histamine. They have a natural diuretic effect and for that reason, care should be taken if you’re on heart medication or in cases of renal failure. Choose young, fresh Spring nettle tops, foraged away from high traffic and pesticide areas; use stout gloves or you’ll get stung. Once heated, the sting disappears, but the benefits remain. One or two young nettle tops is plenty for a refreshing, cleansing Spring cuppa. Put the tops in a mug and pour on boiling water. Enjoy once it’s cooled to drinking temperature.